Do not remain attached to worldly ways of thinking and behavior. You know better. Hence, claim your freedom by embracing your call to holiness. According to Vatican News, Pope Francis stressed this during his daily morning Mass at Casa Santa Marta as he reflected on the day’s reading from the First Letter of Peter which urges Christians to be holy in every aspect of their conduct. 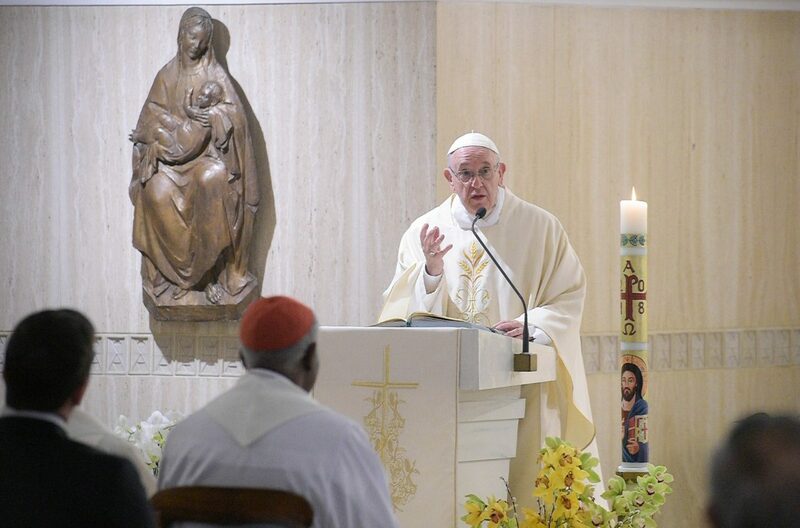 In the homily, Francis discussed that call to holiness and the importance of moving away from our worldly way of thinking and behavior that formerly enslaved us. Walking towards holiness, the Pontiff said, means proceeding towards that grace, that encounter with Jesus Christ. Like walking towards the light, Francis highlighted that many times we don’t see the road well, because the light dazzles us. The Pope urged Christians not to go back to their worldly patterns of behaving. It is for this reason, he said, that Peter urges us not to conform “to the desires of our former ignorance.” In his First Letter to the Romans, Saint Paul say: “Do not conform,” which means don’t get involved in worldly patterns of behavior. “This is the correct translation of this advice – do not adopt the worldly patterns, – do not adopt those patterns of behavior, that worldly way of thinking, that way of thinking and judging that the world offers you because this deprives you of freedom. The Lord, the Pope reminded, calls us to holiness every day. Pope Francis concluded, praying God to grant us the grace to understand correctly what the path of holiness is.